Where is Utopia today? Is this question relevant? One might argue that the term utopia is incongruous with the politics of our time, to say the least. 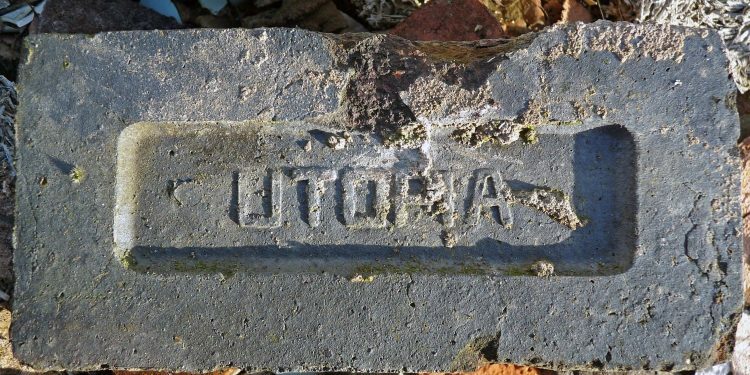 Not only does the term ‘utopia’ indicate no place, when it found a place, it was mistreated and mutilated. What would be the place for utopian thinking in a world that is desperate to solve the accrued problems that it has created for itself? Would utopian thinking distract us from the real tribulations besetting the world? No. In fact, we live in a time when utopia can be no longer objected to. On the contrary, utopia has become necessary and indispensable for millions of people in the world, struggling for survival. The problem is not whether we should seek a utopia or not. The question is what kind of utopia and where to look for it. The context for a discussion of utopia today is provided by a general crisis of social reproduction. This is ‘a crisis and widespread vulnerability…that has opened an incredible number of struggles around social, economic, resource and survival, which have put the struggle for life in the center of politics.’  Crises are a recurrent and inherent feature of capitalism, a necessary evil to enable the expansion of capital. But the 2008 economic and financial collapse resulted in another apparently insoluble crisis, the crisis of formal waged employment and associated forms of welfare as the means for individual and urban communities to reproduce themselves. This has fostered a ‘multiplication’ of work situations. Today, we can observe two simultaneous developments: first, the formation of a new international working class in the global south — mainly in India, China and South Africa. This is exemplified by the biggest strike in history with 180 million Indian workers paralyzing all the strategic sectors of the economy, from coal mines to the financial sector. Second, the emergence of new collective subjectivities that are challenging the concept of work altogether: waste pickers in Ahmedabad, Medellin, Buenos Aires; rural workers gathered in La Via Campesina; women running community gardens in Detroit. The latter signals a shift in grassroot politics. Collective actions by a variety of social subjects are moving onto the social reproduction dimension of the politics of work, organizing cooperative productive and reproductive activities related to housing, food, land, education and health that have emerged within a context of poverty, hardship and exclusion. While these knowledges and practices are based on traditions of resistance, they are bringing new dimensions to the task of surviving in the urban space: co-operatives, self-management and communal projects, together with non-representational politics and anti-oppressive pedagogies. They are rooted in everyday life, in the body, in social relations, in the commons. How are these new subjects of struggle reinventing utopia? What kind of utopia is emerging at the grassroots? To start with, these radical subjectivities are not just developing ‘coping’ and ‘survival’ strategies seeking subsistence for their families and communities. Nor are they subscribing to an abstract political utopia, or the collective dream imprisoned in a written plan expected to be executed in the future by the party. Rather, these urban struggles are posing a fundamental practical questions: what are the possibilities of articulating other forms of human social reproduction beyond the world of money-value-capital? How can we challenge the power of a self-expansive abstraction? How do we deal with the paradox and how do we navigate the contradictions that exist between the fact that the reproduction of human life is mediated by money-capital, while working for a wage and earning money is becoming increasingly difficult, if not impossible. The search for answers to this question is the starting point for the reinvention of utopia. An eminently concrete starting point, from where to search for alternative forms of social reproduction, against and beyond money-capital. This ‘praxis-oriented activity’ contains an experiential critique of patriarchal and colonial capitalist society. This is a critique that is rooted in everyday life, in the body, in social relations, in communal practices. These struggles for alternative forms of social reproduction are prefigurative, for they are challenging the demarcations of reality and engaging with the reality of the not yet. 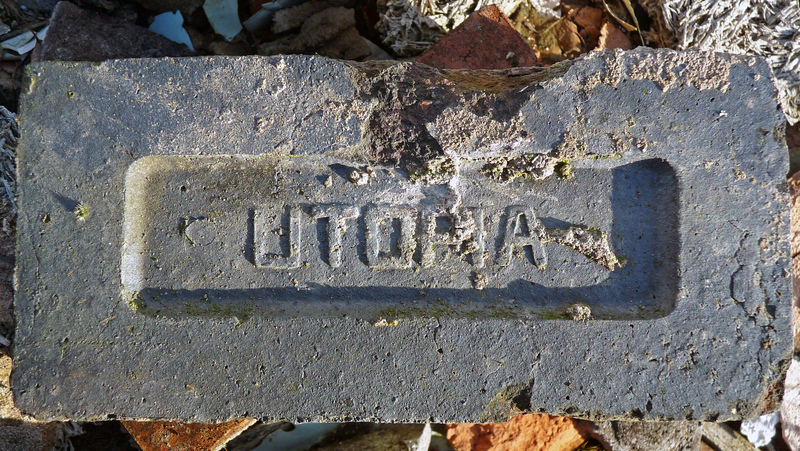 They signal the return of a different idea of utopia: a ‘concrete utopia’. Concrete utopia can be perceived, as Ernst Bloch suggests, as ‘an anticipatory kind which by no means coincides with abstract utopia dreaminess, nor is directed by the immaturity of merely abstract utopian socialism.’  The advantage of seeing the struggles for alternative forms of social reproduction as concrete utopias is twofold: unlike survival strategies, they bring innovation; and unlike abstract utopias, they possess historical specificity. Concrete utopias can only exist as permanent and contradictory collective movements towards the opening and organizing of new horizons, in the here and now. The Real is not Real without the not yet! The critique brought about by concrete utopias is not happy with ‘negative praxis’. Following Bloch, while ‘everything starts up and begins’ with a No, the No contains already the not yet within it.’  In other ways, negation makes it possible to get involved with what is already on its way. If one is to accept that concrete utopias are inextricably connected with the struggles for alternative forms of social reproduction, then they bring about real possibility. We negate in order to spark hope. The process of organizing hope is affirmative, but in no way positive or merely ‘optimistic’. We must then distinguish clearly between positive and affirmative praxis. While the former accepts reality as it is, affirmative praxis negates by means of affirming life in, against and beyond capital. While negative praxis ignores the tensions and contradictions that exist between the compulsion to reproduce life through money and the need to destroy value-money in order to live, affirmative praxis navigates those contradictions encountered in the process of venturing beyond capital. Without this distinction between positive and affirmative praxis, and without the need to connect negation and affirmation, negativity becomes an abstract critique, detached from the real movement of struggle, without historical specificity. It also reflects a colonial imprint, as it becomes an accomplice in the process of oppression of the experiential critique of subaltern subjects who do not find echo in the negativity of critical theory. Concrete utopia is a contradictory process that develops within, against and beyond the social relation of capital and its institutions. Concrete utopia is subsumed into the open veins of capital and is crisscrossed by the main contradiction of capitalist work: we live in a society where we need to work in order to live. Conceived of in the currents of river capital, concrete utopia is compelled to navigate the open veins of capital, swims against the current, float or even sink. The State permanently intends to incorporate, silence, domesticate, repress, i.e. translate, the anticipatory and prefigurative nature of utopia into the grammar of order, via policy, through monetization and the law. Concrete utopia is shaped by those relations and dynamics, oppressions and social forms that she wants to obliterate. State translation means much more than co-optation, recuperation and appropriation by the state. It means the circumscription of utopia within existing ‘parameters of legibility’ (Vázquez, 2011) that exclude and/or invisibilize the emancipatory dimension of concrete topoi. But despite the disappointment that might occur as a result of this contradiction, concrete utopias produce surplus possibilities that cannot be translated into the grammar of capitalist, colonial and patriarchal language. We must capture those ‘untranslatable’ elements brought about by the struggles for alternative forms of social reproduction. If we understand translation not as imposition and appropriation but as struggle (Vázquez, 2011: 41), and focus on the question of untranslatability: what is that, which cannot be translated into the logic of the state, the law or capital? The struggles for alternative forms of social production led by indigenous groups, women and other subaltern subjects of resistance differ from mainstream forms of mobilization in the North. How we understand these differences is important for both utopia and social reproduction. The particular features of indigenous resistance, for example, do not simply refer to cultural differences or differences in the historical background or the context of production, but also to a different positioning of indigenous peoples vis-à-vis the state, the law and capital. Coloniality is embedded in the power they resist and confront. Today, the question of coloniality in the post colonial world is central to the widespread demand for decolonization. Following Luisetti et al. (2015, p. 9)  ‘in this socio-historical moment, a multiplicity of cross-currents is generating alternative geopolitics of knowledge, holding the promise of reconfiguring the modern Eurocentric episteme’. To what extent can indigenous ‘lived utopias’ , women’s struggles, and the struggle of other oppressed subjects affect the movement of capital, if they are excluded from it? First, they are not excluded. The key feature of capitalism is not the incorporation of wage labour into the production process, but the subordination of human life to money. Here, money signifies the most abstract form of capital, rather than just the means of exchange in a market economy. Thus, the lack of real subsumption of indigenous peoples or women into the production system does not prevent them from being subsumed into the value-money form. Second, their subsumption is different: it is a ‘subsumption by exclusion.’  This paradoxical term helps us to understand that racialized and gendered oppressions and their invisibilization are not external to, but internal, i.e. a necessary condition, to the formation of the working class and wage labour. Third, today, subsumption by exclusion is not a ‘prerrogative’ of subaltern subjects of resistance in the global south. Global capital accumulates and expands by means of expropriation, scarcity, displacement, invisibilization, violence, expulsion, occupations, and sustained misery via state policy. These various forms of apparent exclusion are embedded in the everyday struggles for the affirmation of dignified life by indigenous and non-indigenous, rural, urban working people, alike. They are fostering common grounds and paving the way for the constitution of a global pluriversality of resistances. As a praxis-oriented activity, concrete utopia challenges Eurocentric and abstract critical theory, for the latter is detached from the decolonial experiential-critique put forward by subaltern subjects mobilizing around issues of social reproduction and for social justice (in the Global South and non-western world). Concrete utopia attacks the Eurocentric episteme that prevents critique from becoming a critique without borders. Therefore, any discussion of the meaning of ‘utopia’ must be necessarily rooted in the concrete struggles for the affirmation of life. But, more importantly, we must recognize that these struggles for the affirmation of life are rooted in a plurality of knowledges and experiences that are making the improbable possibilities of rediscovering and realizing alternative forms of social reproduction to become reality a concrete possibility. Zechner, M., & Hansen, B. R. (2015) ‘Building power in a crisis of social reproduction’, ROAR Magazine. Messadra, S & B. Neilson (2013)Border as Method, or, the Multiplication of Labor Duke University Press. Ness, I. (2016) Southern Insurgency. The coming of the global working class, Pluto Press, London. Levitas, R. (1997). ‘Educated hope: Ernst Bloch on abstract and concrete Utopia’. In J. O. Daniel & T. Moylan (Eds. ), Not yet: Reconsidering Ernst Bloch, London and New York: Verso: 70. Dinerstein, A.C. (2017) Social Sciences for An Other Politics. Women Theorising without Parachutes, Palgrave Macmillan, London. Bloch, E. (1959/1986) The Principle of Hope, Cambridge, MA: The MIT Press: 146. Dinerstein, AC (2015) The Politics of Autonomy in Latin America. The Art of Organising Hope,Basingstoke/New York: Palgrave Macmillan. Wright, E.O. (2010) Envisioning Real Utopias (London and New York: Verso). Wright, E.O. (2013) ‘Transforming Capitalism through Real Utopias’, American Sociological Review, 78(1): 3. Wright, E.O. (2013) ‘Transforming Capitalism through Real Utopias’, American Sociological Review, 78(1): 8. Dinerstein, A. (2015). The Politics of autonomy in Latin America: The art of organising hope. Basingstoke/New York: Palgrave Macmillan. Bronner, S. (1997)‘Utopian Projections: In Memory of Ernst Bloch’. In Daniel, J.O. and Moylan, T. Not Yet: Reconsidering Ernst Bloch, London and New York: Verso): 177. Bloch, E. (1959/1986) The Principle of Hope, Cambridge, MA: The MIT Press: 307. Luisetti, F., Pickles, J., & Kaiser, W. (2015). The Anomie of the earth, philosophy, politics and autonomy in Europe and the Americas . Durham/London: Duke University Press. Mattiace, S. (2003) ‘Mayan Utopias: Rethinking the State’. In Rus, J., Hernández Castillo, R., and Mattiace, S. (Eds.) Mayan Lives, Mayan Utopias: The Indigenous Peoples of Chiapas and the Zapatista Rebellion (Oxford: Rowman & Littlefield), pp. 185–190. On the term pluriversal and pluriversality see Conway, J. and J. Singh. (2011) ‘Radical Democracy in Global Perspective: Notes from the Pluriverse’, Third World Quarterly, 32(4), pp. 689–706.